This is done so Ubuntu can return shopping results along with results from your local computer, and is an attempt to make money on commissions from Amazon.com. If someone searches for their "love letter to Anna" on their local computer, they don't expect this search to be sent to Amazon or Canonical. If they search for sensitive financial or health information, they expect their search (of their local machine) to remain private. The option to "opt out" is not enough and the fear that an update may unwittingly opt you back in or subscribe you to some other privacy-killing advertising scheme is great enough for Ubuntu users to have the right to be concerned. Canonical's spyware gambit is a punch in the gut to anyone who has advocated for free software and promoted Ubuntu to new users. For free software activists and GNU/Linux evangelists, handing out copies of an operating system that spies on people simply isn't cool, and explaining an opt-out procedure is impractical and insufficient. Canonical's road the to profitability lies neither in spying on users, nor turning their strongest evangelists into their fiercest critics, nor some half-baked partnership with Amazon to make pennies via affiliate commissions. Install an applet by default that periodically pops up donation requests. If this is kept to a minimum (every 1, 3, or 6 months), it won't be much of a bother to users. If it's easy to deactivate it will be less of a bother. If it couples the requests with some really cool tips or exciting news about developments at Canonical or with Ubuntu, it will give most people a warm and fuzzy feeling rather than a cold feeling. This can get really creative too, for example by having a mechanism to crowdfund cool features that people vote on with their donations. Canonical already offers Enterprise services and Consumer services. Their writeup for their desktop support services (which are part of their consumer services) is a bit confusing to follow. Straight-forward per incident or monthly support plans might get some traction with small businesses and home users who simply like having someone to call when they hit a roadblock. I don't think Premium Support to home users is the holy grail for profitability, but it's worth exploring further. Canonical has a certification program for hardware vendors. That's not what I'm referring to. I mean training and certification for Ubuntu system administrators. The job market is still struggling, especially for non-low wage work. People are looking for an opportunity to retool and learn a new skill. Why not offer the equivalant of a Microsoft Certified Engineer designation? And if this gets traction, Ubuntu builds themselves a team of future sales people and technical evangelists in the process. Sounds like a win-win for everyone. OK, this is one that Canonical is already working on. 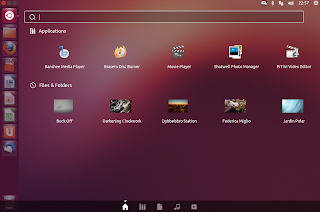 Ubuntu One is Canonical's cloud storage service. It's similar to Dropbox, Box.com, Google Drive, SpiderOak and similar services. I'm not certain which of these are profitable services, but there's plenty of money invested in these companies betting that recurring income on cloud disk space can be a profitable business. How is Canonical fairing with their effort? I'm not sure, but it's been pointed out that they flubbed badly by not providing support for non-Ubuntu distributions of GNU/Linux. Can you believe that? They have Windows, Mac, Android, and iPhone versions of Ubuntu One, but not Fedora or SuSE versions. Unreal. They are missing (perhaps missed sadly) the boat on being the defacto standard for cloud storage on GNU/Linux systems. Here's hoping there's still a chance. I'm not a gamer so I can't speak too deeply about this, but it occurs to me that with Valve Software's enthusiasm for the GNU/Linux platform, Ubuntu has viability as a gamer's operating system in the future. Is there a market for fast, subscription-based game servers to host multiplayer games? If Canonical were partnering with a company less notorious than Amazon.com for destroying freedom, their spyware scheme would be equally bad. The fact that Amazon.com is their partner in crime simply adds salt to the wound because Amazon.com is the largest purveyor of the digital book burning technology known as DRM (Digital Restrictions Management). What if Ubuntu ditched Amazon.com and instead made a commitment to freedom by partnering with only those publishers that publish non-DRM books and other media? I'm not aware of a popular store that gathers up all non-DRM books, movies, music and games in one convenient place. Assuming Ubuntu built an opt-in "free shopping lens" that provided such as service, I think they'd have a winning product. Since many Ubuntu users believe in "free as in freedom," they'd be putting the right product in front of the right audience at the right time. What marketer in the world wouldn't take that trifecta opportunity? It's not unusual to meet users of free software or even advocates of free software and find that while they believe in the spirit of the concept, they don't themselves 100% know what constitutes free versus proprietary software or how to fully articulate the difference. The Free Software Foundation provides a helpful definition of free software, which I will summarize here followed by a link to the full definition. First, "free" doesn't refer to price. It refers to freedom. In the parlance of the movement, this is often stated as "free as in freedom, not free as in beer." Of course, free software may also be distributed for zero cost ("free as in beer") but that isn't what makes it free in the important ("freedom") sense. (See Note on "Free software" and non-English Languages at the end of this post for further discussion). The Free Software Foundation provides four criteria by which to judge whether a piece of software is free software. These are referred to as the "four essential freedoms." If it meets all four criteria, it's free software. If not, it isn't. #0. The freedom to run the program, for any purpose. #1. The freedom to study how the program works, and change it so it does your computing as you wish. Access to the source code is a precondition for this. #2. The freedom to redistribute copies so you can help your neighbor. Freedoms #0 and #1 put each individual user in control (rather than the developer of the software) and they allow the individual user to help him or herself. Freedom #2 allows the user to help his or her neighbor. Freedom #3 allows the user to contribute to his or her community. Richard Stallman has pointed out that the English language doesn't have a word to distinguish between "free" as in price and "free" as in freedom. In other languages, such as Spanish, there are separate words. So in Spanish, when someone says "software libre," you immediately know they are talking about freedom and not something being "gratis" (zero cost). I just announced our next event, scheduled for Wednesday, December 5 @ 6:30pm at MIT. The topic? "Free (Software) for the Holidays." We'll celebrate the free and open source software we love by sharing the names of our favorite apps. I'll also present 3 ways we can give back to the community. On November 7th, 2012 the Desktop SIG of the Boston Linux & Unix User Group (BLU) held a debate and election on the best GNU/Linux distribution for desktop users. This is a summary of that meeting. I'm going to divide the meeting summary into a few different posts, with this post serving as a master post. That way, this post won't get too long and I can provide as much information as possible from the meeting. Even if you missed our lively meeting, these notes should ensure you don't miss out on the great information shared. However, I can't stuff everything into meeting notes. To experience the community and personal interaction we're fostering among users of free software, please come to our next meeting. Hey, what is a GNU/Linux "distribution?" We didn't have a full presentation on Arch Linux, but Ista Zahn made a strong pitch from the audience. Ista commented on Arch's flexibility, rolling release schedule (which helps the distro to stay bleeding edge), and strong documentation in the form of the Arch Wiki. It's sounds cliché, but there were only winners. Each distribution has something to offer for different types of users with different needs. Free software celebrates diversity and respects users abilities to make their own choices, in part by giving them choices to select from. I encourage you to read the articles, think about which distribution matches your needs and philosophy the most, and give it a try. There's no better way to pick an operating system for the long haul, then to pick one for a short trial run. All of these options can be downloaded for free, so why not? If you have a different opinion than those shared here or would simply like to share your experience, I encourage you to leave a comment below, contact me directly, or come to our next GNU/Linux user's meeting. In addition to our distribution debate/election, we had the pleasure of an update from Michael Mauger on legal/patent issues related to software. Michael provided us with an excellent overview of how company's like Microsoft have tried to restrict user freedom. Microsoft successfully defeated an attempt by Massachusetts to adopt the Open Document Format. As a result, the state is stuck using Microsoft file formats, which lack open documentation, risk obsolescence, and make forced upgrades (paying Microsoft again) more likely. Using money and clout, Micosoft has pursued similar freedom crushing moves in Europe. To stay on top of important legal issues surrounding software, Michael recommended the Groklaw website. Thanks Celso for taking notes during our meeting! Your notes helped me put together these posts. For details on our next meeting, check our Meetup page. 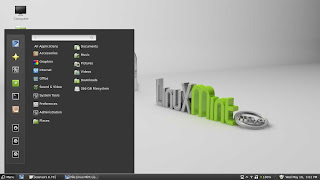 Linux Mint is a soft fork of Ubuntu. Each time a new version of Ubuntu is released, the Mint team integrates the Mint packages into the new Ubuntu release and releases the result as "Linux Mint." Mint is free to download, use, and share (as are other GNU/Linux distributions). Almost, but unlike Trisquel, not all of the software that comes with Mint is open source. Mint works on Intel x86 and AMD64 architectures only. It is desktop oriented, but can also run as a server OS. What's in Mint but not Ubuntu? The Cinnamon desktop (Window Manager) was created by the Linux Mint team. They considered that the GNOME 3 and Ubuntu Unity window managers unacceptable desktop UIs, and they wanted to provide a viable alternative that would continue to be supported after the GNOME project stopped development on GNOME 2 and moved onto GNOME 3 in 2011. Cinnamon was initially released as a set of extensions – “MGSE” for GNOME Shell. 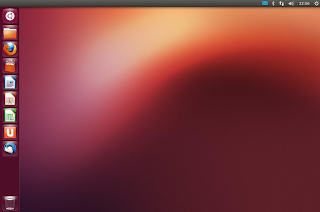 Cinnamon transitioned into a full fork of GNOME Shell in 2012 and uses GNOME 3 core libraries. But it just works out of the box and I haven't needed to fiddle with it! Why Not Choose a More Popular Desktop Window Manager? Ubuntu Unity and GNOME 3 Shell have confusing user interfaces. The KDE Plasma Desktop is too slow and bloated, and the themes are unattractive. Further, GTK apps don't look like Qt apps and therefore don't fit in well with the KDE interface. The XFCE Desktop still doesn't come with a searchable start menu. Why Choose Linux Mint with Cinnamon? Amazon.com search integration, which is enabled by default! What's not good about Linux Mint? Where to get Linx Mint support? Where to get Linx Mint?